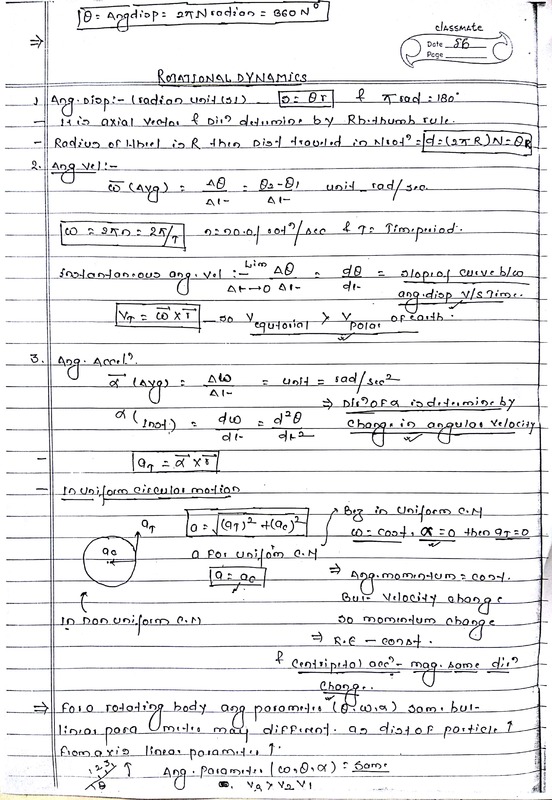 Rotational Dynamics NOTES ROTATIONAL DYNAMICS NOTES (ROTATIONAL MOTION)FOR NEET, AIIMS AND IIT-JEE OTHER COMPETITIVE EXAM. 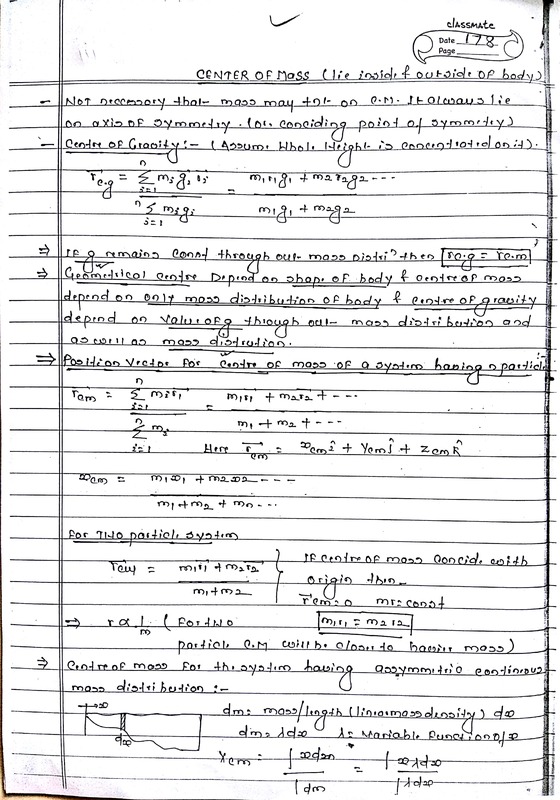 Center of Mass NOTES CENTER OF MASS NOTES FOR NEET, AIIMS AND IIT-JEE OTHER COMPETITIVE EXAM. 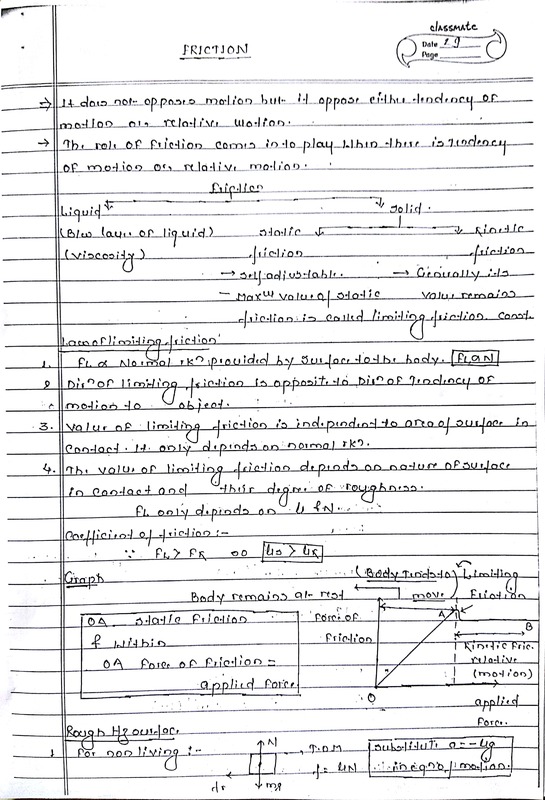 FRICTION HANDWRITTEN NOTES FRICTION HANDWRITTEN NOTES FOR NEET, AIIMS AND IIT-JEE AND OTHER COMPETITIVE EXAM. 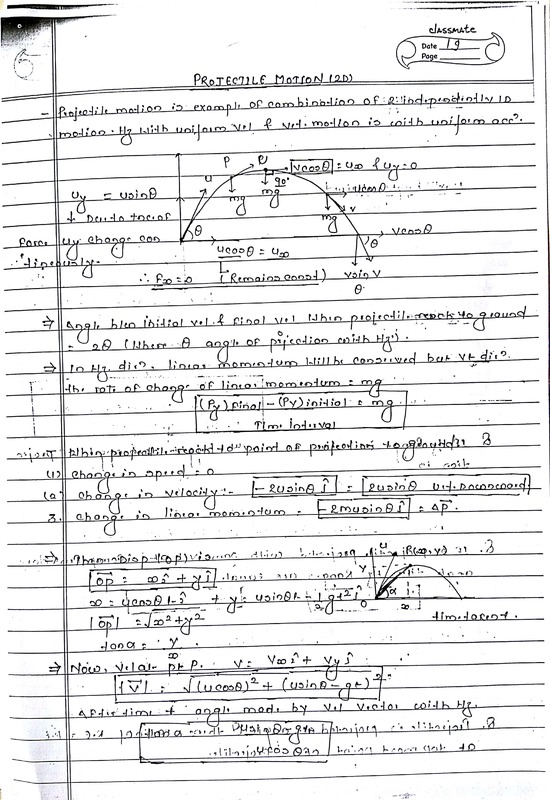 Projectile Motion 2D notes PROJECTILE MOTION 2D NOTES FOR NEET, AIIMS AND IIT-JEE AND OTHER COMPETITIVE EXAM. 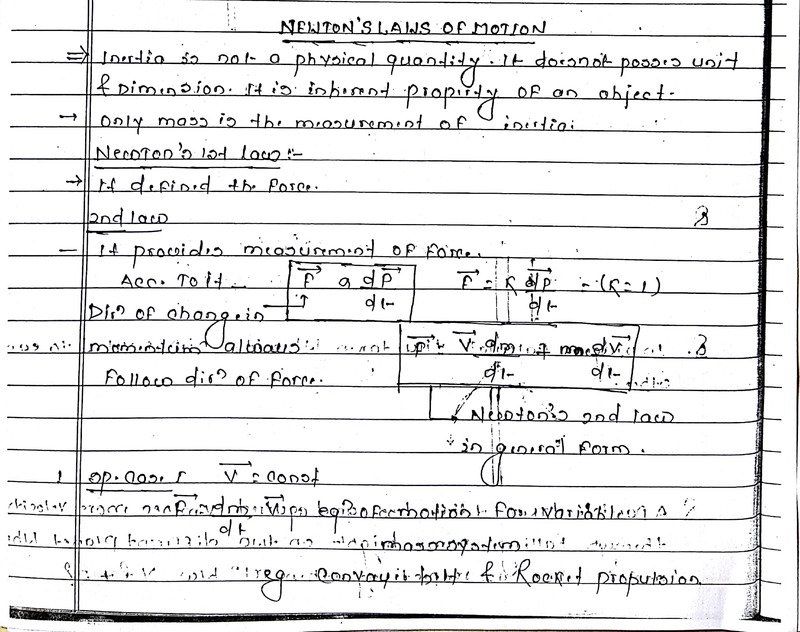 Newton’s Law of Motion NOTES NEWTON’S LAW OF MOTION NOTES FOR NEET, AIIMS AND IIT-JEE OTHER COMPETITIVE EXAM. 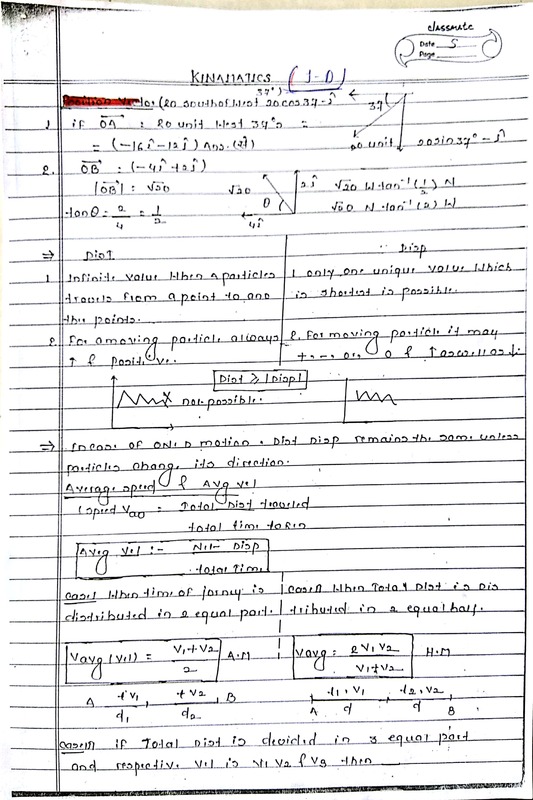 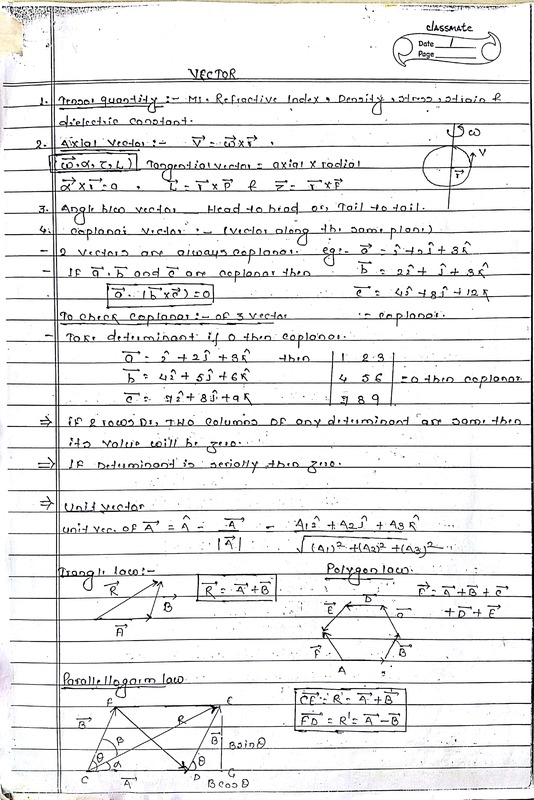 Kinematics 1D HANDWRITTEN NOTES KINEMATICS 1D HANDWRITTEN NOTES FOR NEET, AIIMS AND IIT-JEE AND OTHER COMPETITIVE EXAM.